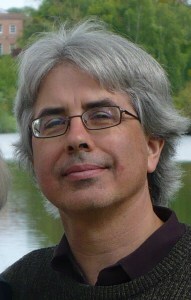 James Harley is a Canadian composer presently teaching at the University of Guelph. He obtained his doctorate at McGill University in 1994, after spending six years working and studying in Europe. His music has been awarded prizes in Canada, USA, UK, France, Poland and Japan, and has been performed and broadcast around the world. A number of Harley’s works are available on disc and his scores are primarily available through the Canadian Music Centre. He has been commissioned by numerous organizations in Canada and elsewhere. He composes music for acoustic forces as well as electroacoustic media, with a particular interest in multi-channel audio.